Product prices and availability are accurate as of 2019-04-03 06:43:57 EDT and are subject to change. Any price and availability information displayed on http://www.amazon.com/ at the time of purchase will apply to the purchase of this product. Amazon's Alexa is the world's most popular voice activated digital assistant. More than seven million Alexa-ready devices are in use, and more than ten thousand Alexa voice applications - aka Alexa skills - have already been published. 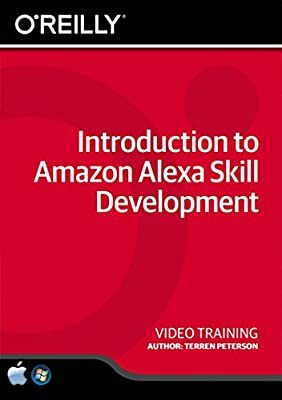 In this course, Alexa Champion Terren Peterson explains the underlying architecture of the Alexa platform and then shows you, step-by-step, how to create an Alexa skill and get it published onto the Alexa platform, where it could be used by millions of people. Terren Peterson is a 2016 Alexa Champion, this is a designation Amazon awards each year to just a handful of Alexa developers worldwide. He's created many Alexa skills, including "Hurricane Center", a skill providing tropical storm information based on NOAA data. An experienced technologist with multiple AWS certifications, Terren is the head of Platform Engineering for the Retail and Direct Bank Business at Capital One, where he leads the bank's transition to cloud technologies. 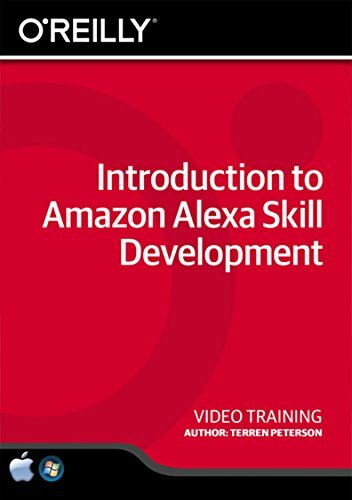 Learn Introduction to Amazon Alexa Skill Development from a professional trainer from your own desk. Visual training method, offering users increased retention and accelerated learning Breaks even the most complex applications down into simplistic steps. Easy to follow step-by-step lessons, ideal for all Comes with Extensive Working Files!